When the weather heats up, the idea dressing up for work can be more stressful than an impending deadline. 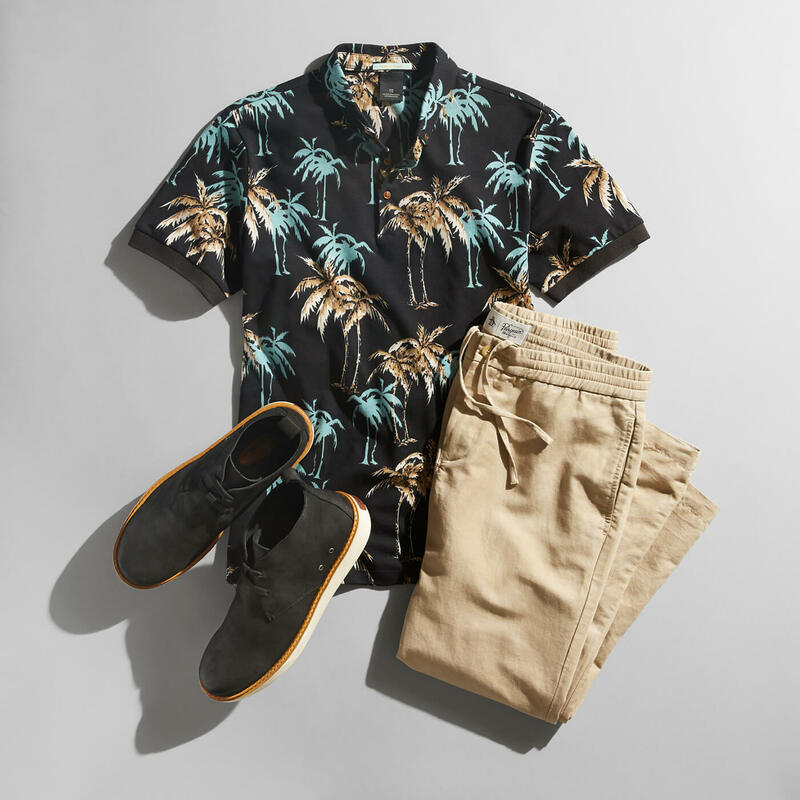 If your office allows for a more lax dress code during the summer, we can help you navigate the fine line between casual attire and workplace appropriate. Take a look at these six SFW outfits to help you look sharp and stay cool in the office this summer. Wearing a short sleeve button down with a tropical print is a surefire way to stand out during casual Friday. Wear it with a pair of stretch chinos and suede chukkas for a smart and fun look. Feel free to keep the shirt untucked in more casual office settings or tuck it in for a more buttoned up environment. We know it can seem like a faux pas, but you shouldn’t be afraid to go denim on denim. Wearing a pair of dark wash or black jeans can compliment a stonewash denim jacket. 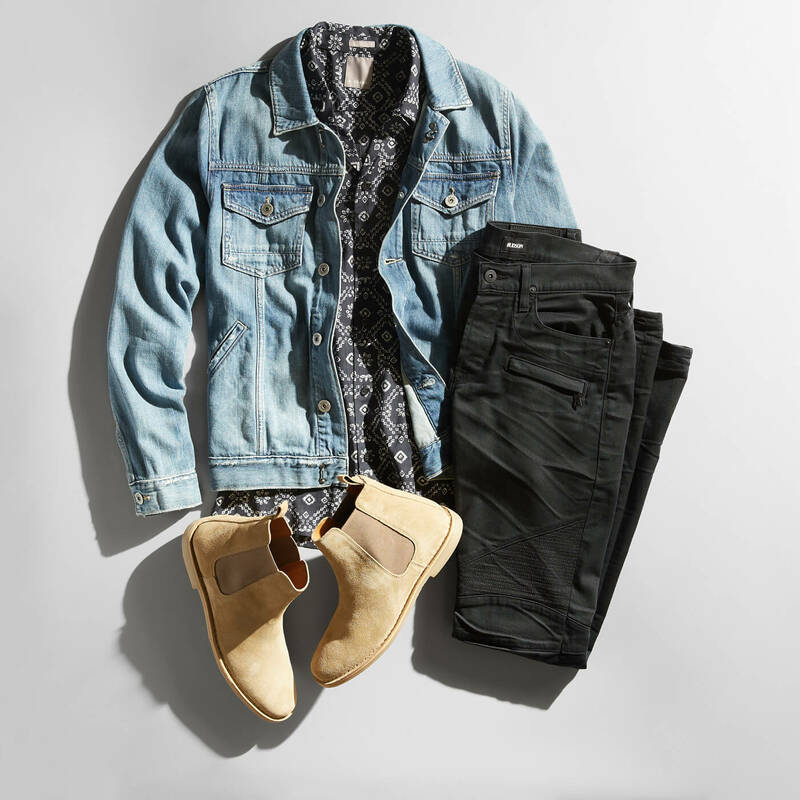 Layer over a printed shirt with suede Chelsea boots for a sharp look with a little edge. This is a staple of casual workplace attire. 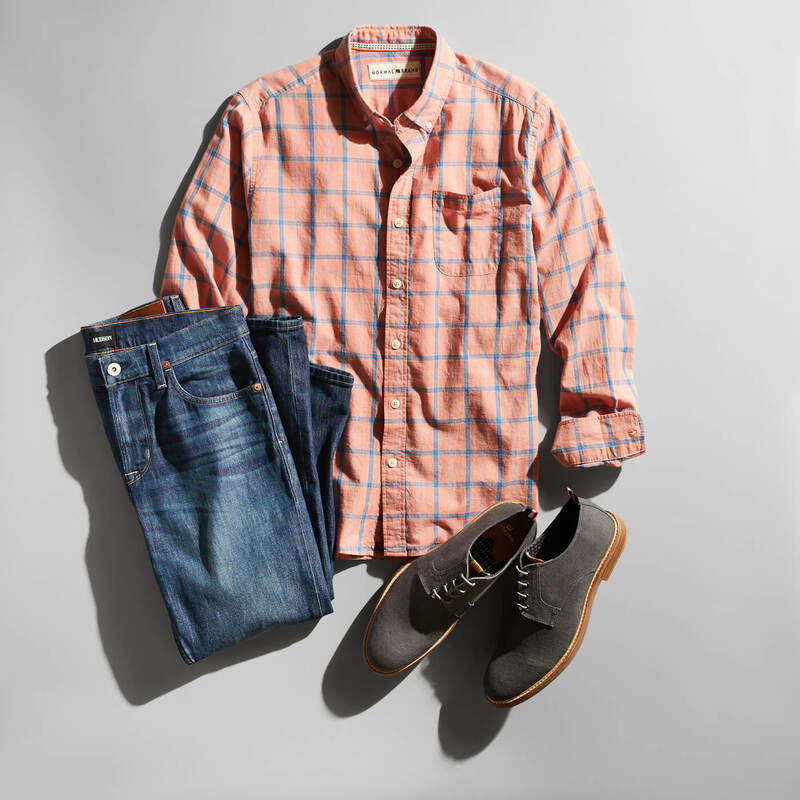 Wearing a light button-down with a pair of dark jeans and the right pair of shoes will keep you comfortable all day long. This laid-back look will work equally well in the office as it will at happy hour. Rocking a short sleeved polo is a great way to keep cool during the workday. 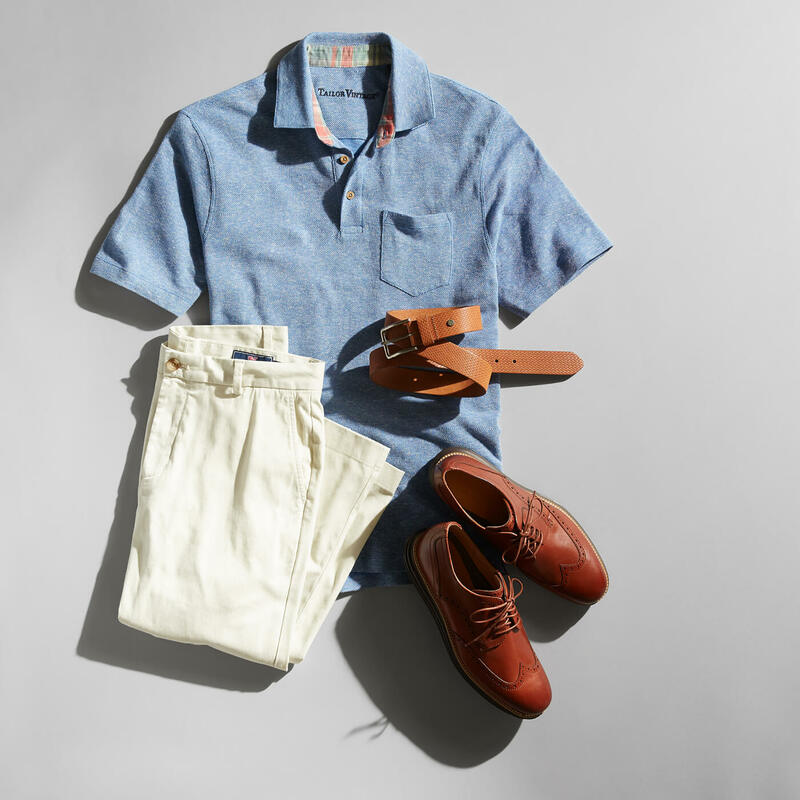 Pair with light chinos and top it all off with a pair of wingtip shoes for a preppy and refined look. For those occasions when you need to dress up a bit, try wearing a blazer with an oxford shirt and chinos. Opt for blazers that are made from lightweight material like cotton and are unlined or unstructured for increased ventilation. It takes some confidence to pull off this combo, but you’ll be rewarded with serious comfort and style points. 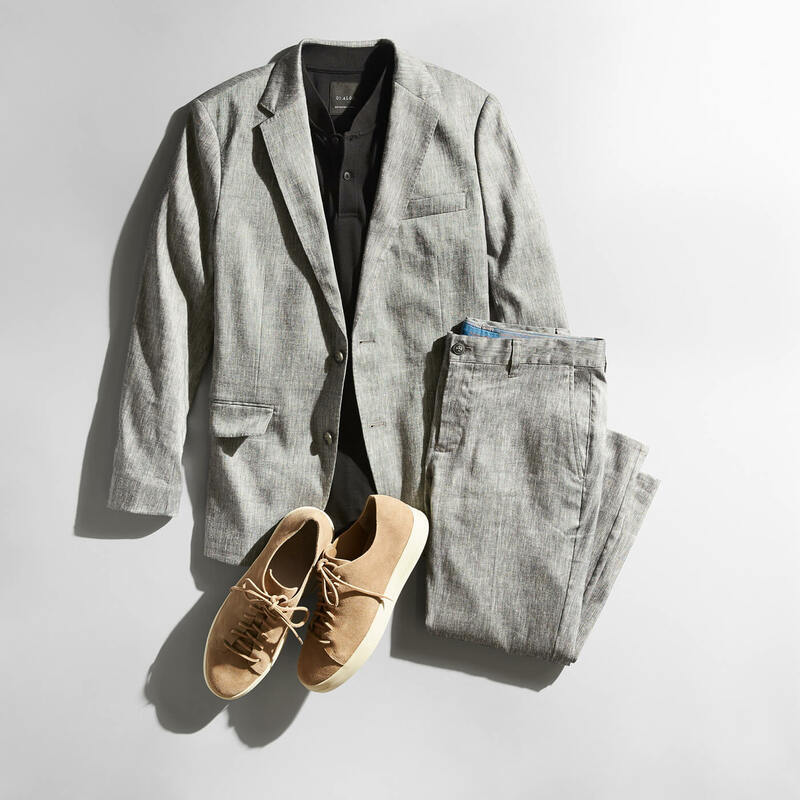 You’ll feel like a boss wearing a linen suit and can easily dress it down with a polo shirt underneath and a pair of suede or canvas sneakers. 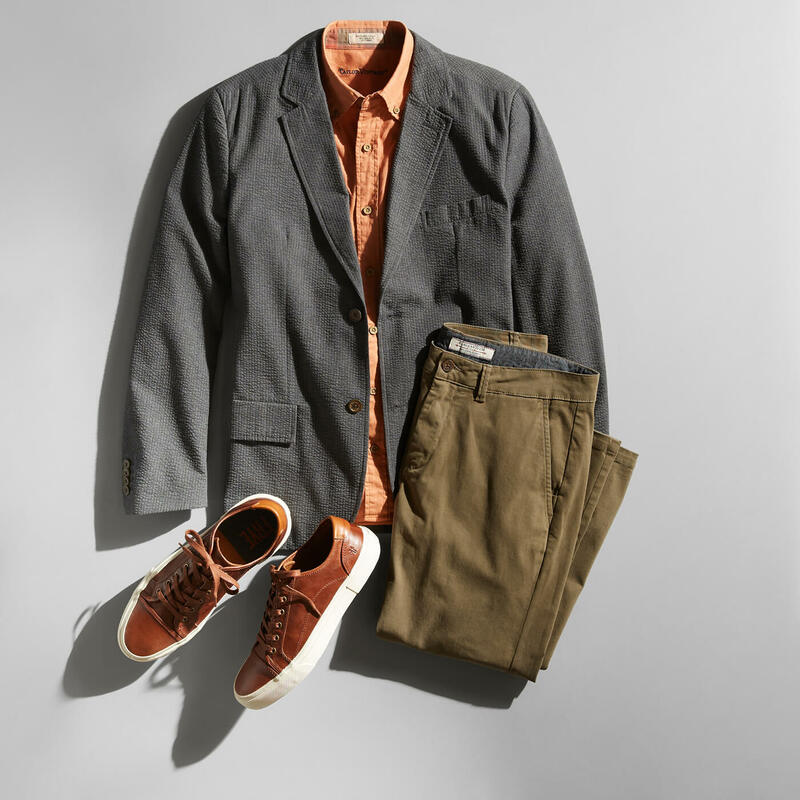 Whether you go with short sleeves, lightweight materials, or slightly more casual outfits, there are plenty of ways to stay cool and comfortable while still looking office-appropriate. Just don’t be the guy who brings a spray fan to the office. Ready for summer weather workwear? Just schedule a Fix.